A week ago I was waiting for a friend to pick me up and my landline rang. No one ever calls me on that phone, it’s almost always robo-calls or marketers. I’ve kept it because it was tied to the front door entry system. Since that no longer works I probably should get rid of it. I answered it that evening because the caller id was a cell number. A man asked for me, I asked who was calling. He gave a name that was common enough to have been a made-up marketer but it was also one of someone I’d known in the 70’s. That’s who it turned it out to be. We had completely fallen out of touch and none of our mutual friends seemed to know anything about him. It turns out he’s lived in New York the last 35 years and worked in the publishing business. He told me he was surprised my number still worked and that my voice sounded the same. I assured him that nothing else had changed either. 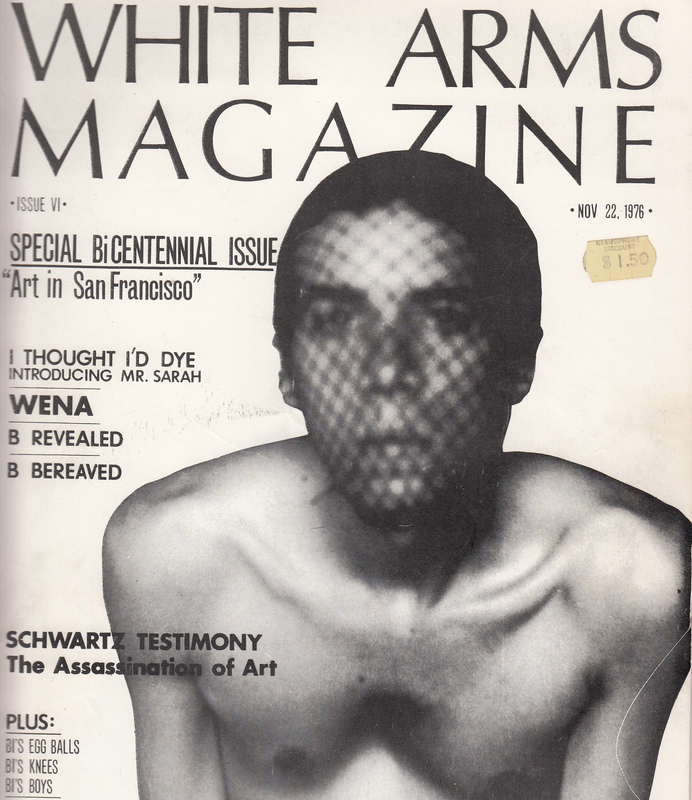 He said he still enjoyed his copies of White Arms Magazine and googled the title recently. His search led him to my blog which he was reading. We talked about people we knew in common and I got him caught up on any news I had. Many of them had died which he knew nothing about. When I asked if he remembered Jim who I collaborated with on the magazine he said, “oh yeah, he died in an automobile accident didn’t he?” I laughed. In one of the White Arms issues Jim decided he wanted a more affected, pretentious nom de plume. So he wrote that Jim had died in a car crash and that Rene White would be taking over as editor. At the time some of my more political friends thought the term “White Arms” could be construed as pretext for something racial. But Jim said the name came from the sheaths of blank paper that made up the magazine. And how they would circle the world in an unpredictable way. When we were putting it together I was always questioning what we were doing, wondering what the benefit would be. Jim told me not to worry about results, to concentrate on being creative and doing things. The consequences would take care of themselves. Jim would have been thrilled that his car crash story had legs. And that White Arms still has reach.